Home > Public Relations > Always found them to be fast, friendly and efficient. We provide regulatory and compliance services for companies running promotions across Europe and beyond. Our clients include Kraft, Unilever, Wrangler, Visa and Pernod-Ricard. 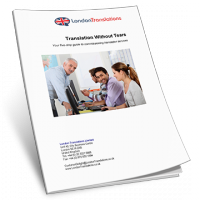 We have been using London Translations for the past few months for a number of projects and have always found them to be fast, friendly and efficient. Our needs have ranged from complicated legal documents in Vietnamese, Brazilian and Indonesian to advertising point of sale materials in Norwegian, French and Italian. Regardless of the project or language required we get a quote same day and generally the work the next. 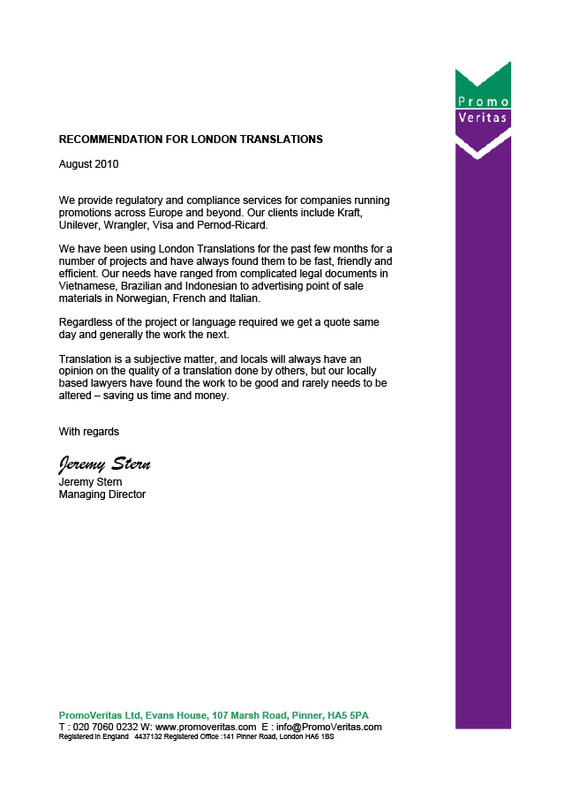 Translation is a subjective matter, and locals will always have an opinion on the quality of a translation done by others, but our locally based lawyers have found the work to be good and rarely needs to be altered – saving us time and money.